Editor’s Note: Elias Alias here. I want to provide readers here at TMM with a personal account of something which came my way through a dear friend. I have posted several articles about mycoplasma. The micoplasma phenomenon remained outside my knowledge until the summer of 2016 when a friend noticed that my health was not looking very good. We were at a rally for Jake Ryan at Plains, Montana, when we had the discussion about our health. He had taken one look at me and had quickly started asking questions about how I “felt”, healthwise. I simply told him that I figured I had “rapid aging syndrome”. My friend had experienced the same symptoms I was noticing in my own body. I had no diagnosis, as I can’t afford doctors, so I had simply called my condition “Rapid Aging Syndrome”. I told my friend that I felt like I was slowly dying and that I often wondered when going to sleep whether I might wake up the next day or not. All my customary energies were depleted, my mental acuity was mostly gone, powers of concentration could not be sustained. In general, I was out of energy. I had presumed, naively, that it was all due to my having lived an adventurous lifestyle and had entered my 70s. My friend told me that he had also been feeling that way, but that he had discovered something that had renewed his energies. He asked me if I had any pains, and I told him that my kidneys had been very sensitive for over three years, such that it was very uncomfortable for me to wear a belt. Other than that, I had no real pain, so I had figured that I had simply lived-up my allotted dose of health in life by living hard and irresponsibly. My friend asked for a sketch of how I ate. I related to him that I had mostly ran out of vitamins and supplements and could not afford to replace them, so I also blamed my fatigue on the lack of vitamins and supplements. I had also realized back in 2015 that I must quit eating GMO foods, processed foods in public restaurants, and that I needed to pay close attention to doing everything I could to eat for nutrition value, meaning eating only organic foods. I had begun to eat raw vegetables, fruits, berries, nuts, etc. I was not really upset about this slow way of dying, as it was not painful except for my kidneys, and I had never foreseen that I would live to be 70 anyway, so I felt blessed to have been given this much time in life. But it did bother me that this loss of energy was interfering with my work. My friend then told me about an article by Donald W. Scott, and I assured him that when I got home I would search it up on the Internet. I was not really hopeful that anything was going to help me, but because my friend’s concern was genuine I agreed to look into it. My trip home from Plains was a couple of hundred miles, and my memory was all but gone, so I had forgotten about the article by the time I was back in my cabin. A couple of weeks went by without my remembering to find that article and read it. My friend called to check on me and reminded me to read it, so I did. That began a wonderful turn of things for me. The article was about mycoplasma. It resonated with me well enough, strongly enough, that I began to search for more details online. My friend stayed in touch with me by phone, and soon enough he figured I was knowledgeable enough to receive his gift. His gift was “ionized silver water”. The man drove a couple hundred miles to bring me several gallons of this ionized silver water, and six tinctures which his wife makes. He also brought a load of blueberries and raspberries. Thus began my climb out of what I now call “chronic fatigue syndrome”. I was to drink two-to-three ounces of this ionized silver water twice a day, with a few drops of the tinctures in each serving. He started me on ten-parts-per-million, silver-to-water ratio. (ppm) One gallon of that, then graduating up to 15 ppm for one gallon, and then a gallon of 20 ppm. About six weeks into this regimen I found myself one afternoon sitting on my front porch laughing to myself — because I felt so good! My wits were returning to me, I could not feel my kidneys, and my energy levels were very nicely improved. I was starting to feel like my younger self, and I’ll tell you that it felt damn good — good enough to bring a smile to my face, and produce some gleeful giggles of joy. It had been a long time since I naturally felt that good. So I decided to share some of my findings about mycoplasma and silver. Readers who have not read those prior articles should do so now. In this article I will share a few things others have found. First, let’s note an important distinction between Colloidal Silver and Ionized Silver waters. It is my understanding that colloidal silver is not generally made to be as minute as ionized silver. There are certainly many stories by people who have great things to say about colloidal silver, and I do believe them; but just bear in mind that to treat the mycoplasma which have permeated one’s cells, one really needs the size-reduced effectiveness of ionized silver, which is small enough to enter a white blood cell and kill any mycoplasmas it finds there. Let’s look now at a source called “The Silver Edge”. Virtually all human being are infected with mycoplasmas, which is one of the most insidious, disease-causing pathogens known to man, and may well be responsible for most of the so-called “incurable” diseases known to man. But the good news is that colloidal silver is known to be highly effective against mycoplasmas pathogens. 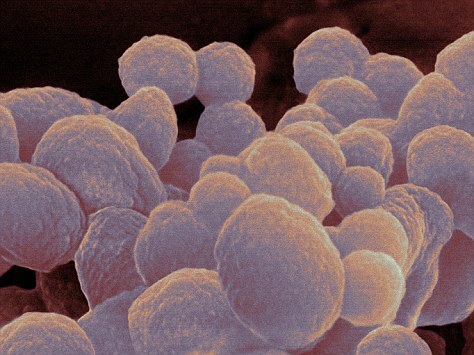 Mycoplasmas are said to be the smallest free-living organism known on the planet. And because of that they’re extremely difficult to detect in humans. While some species of mycoplasma are considered to be relatively benign, others are known to be highly infectious and can cause or otherwise trigger serious chronic degenerative disease. Indeed, according to Dr. Garth Nicolson, M.D. of the Institute for Molecular Medicine in Huntington Beach, CA, and other noted researchers, these debilitating “stealth pathogens” are now implicated in the onset of numerous chronic degenerative diseases including some forms of cancer, Chronic Fatigue Syndrome, Fibromyalgia, Crohn’s colitis, Type II diabetes, Multiple Sclerosis, Parkinson’s disease, Wegener’s disease, and collagen vascular diseases such as Rheumatoid Arthritis and Alzheimer’s. In fact, what Dr. Garth Nicholson has discovered in the course of his research with DNA-PCR testing has blown the science behind chronic degenerative disease wide open. He found that virtually ALL forms of chronic degenerative disease have at their very basis these tiny, difficult-to-detect microorganisms that literally wreak havoc on the human body from deep inside the tissues and cells, causing virtually every form of chronic degenerative disease known to man. Yes, virtually all of the “incurable” diseases – and many others – are now thought by cutting edge researchers like Dr. Nicholson to have these tiny microorganisms as their root causes! Unlike conventional pathogens, mycoplasmas are unique in that they lack a rigid cell membrane. Instead of the traditional rigid bacterial cell membrane, they have a very fluid, gel or lipid-like outer surface. This lack of a rigid cell wall enables them to change form at will, and move through the body in ways that other pathogens cannot, colonizing tissues, invading other cells with impunity and playing “hide and seek” within the body’s immune system. According to Dr. Lida Holmes Mattman, these “cell wall deficient forms easily move between groups of cells and fuse together to facilitate ‘genetic experiments’ within your body,” frequently triggering or exacerbating numerous types of illness and disease. “The mycoplasma acts by entering into the individual cells of the body. Depending upon your genetic predisposition, you may develop neurological diseases if the pathogen destroys certain cells in your brain, or you may develop Crohn’s colitis if the pathogen invades and destroys cells in the lower bowel. 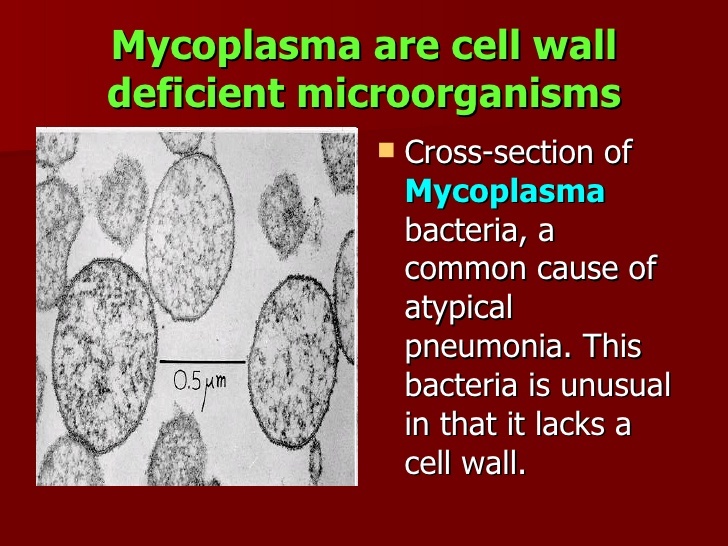 Once the mycoplasma gets into the cell, it can lie there doing nothing sometimes for 10, 20 or 30 years. Many other prominent medical researchers now agree with the doctors quoted above…. Read entire article at this link. Coming Soon: The Mental Militia interviews Richard Shafsky on Mycoplasma, Electro-Magnetic Pollution, Ionized Silver, Harmonics and Much More. This post may update at times. Thank you for reading. Funny, I have had pneumonia 3 times in the last 6 months; never quit coughing – friends here call it chem trail flu. Lots have it here, but our skies are always gray with the junk they drop on us. When I can, I will try what you are doing. Already I rarely eat anything GMO, round-up ready carp. Thanks in advance of trying, it might help me and, if not me, then others. The nice thing about ionized silver water is that it does not build up in your body. People interested in arresting the progress of mycoplasma in their systems should pool together enough money to buy an ionizing set-up, which I think are about a thousand bucks or thereabouts. By splitting the cost, a group of people can supply the whole group with plenty of this ionized water. Although some people say that colloidal silver works, I’m pretty sure that one really needs the ionized water, as it is finer and can work against the mycoplasma which have invaded inside one’s white blood cells. I continue to rebuild energy levels by doing this treatment with ionized silver water, strict diet control including eating only organic food, and using organic-only supplements. I’m about ready to start an exercise regimen to go along with the nutritional treatment. Best wishes to you and your neighbors there in commie-land. Hello. What were the 6 tinctures you used with the silver? And one simply named by its maker, “Cold and Flu”. I do not know the ingredients in that one. Also note — I am still drinking ionized silver water, but now am doing it only about every other day. And I’ve reduced intake of the tinctures to about once or twice a week. I may increase dosages through the months of February and March, 2019.